Minik Arctica approaching the port of Nuuk, Greenland. 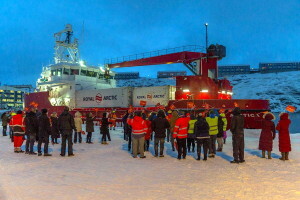 Minik Arctica, a multipurpose cargo and supply vessel, built at Remontowa Shipbuilding for Greenland-based Royal Arctic Line reached Greenland mid November. 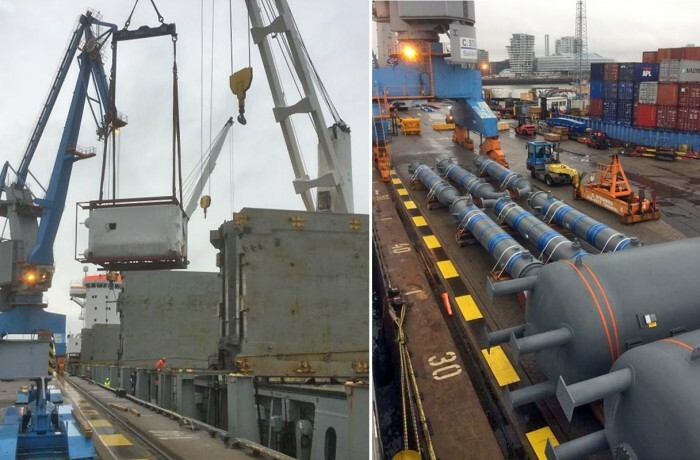 After delivery from the Polish Gdańsk-based yard on September 1, 2016, in Denmark, preparation works and crew training was in course until November 2, when the ship departed for Northern Atlantic. The owners organised an official name giving ceremony and “open day” festivities in Qaqortoq, southern Greenland, on November 30. 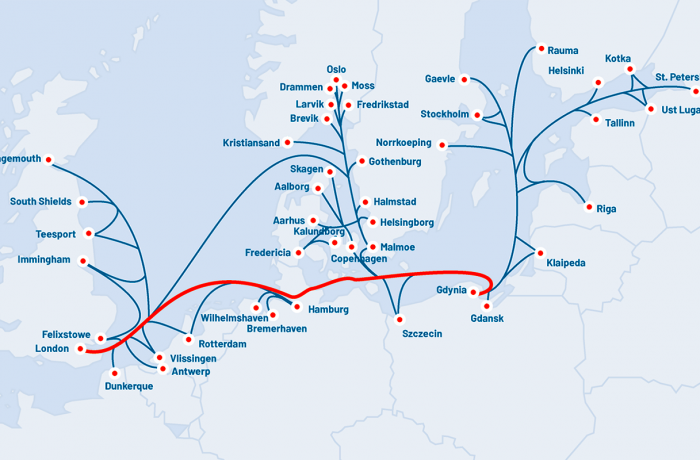 Royal Arctic Line has chosen CEO of Kalaallit Nunaanni Brugseni, Susanne Christensen, as a godmother to the Minik Arctica with Kalaallit Nunaanni Brugseni being a major customer of Royal Arctic Line. The Minik Arctica is a cargo vessel, however a very special and complex one, with numerous items of not typical equipment. Among the challenges to designers and builders there was conceiving a ship suitable for continuous operation in very low temperatures, as well arranging all the systems and items of equipment, not all of which are usually to be found on a cargo ship of this size, to fit in a small hull. 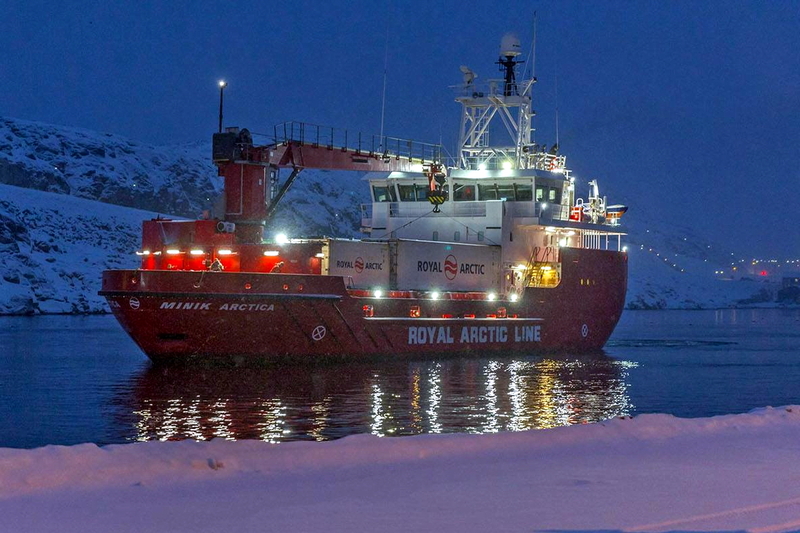 The purpose of this ship, being a crossover between icebreaker, supply vessel and mini-container vessel is maintaining connection between small settlements along the coast of the world’s largest island – Greenland. 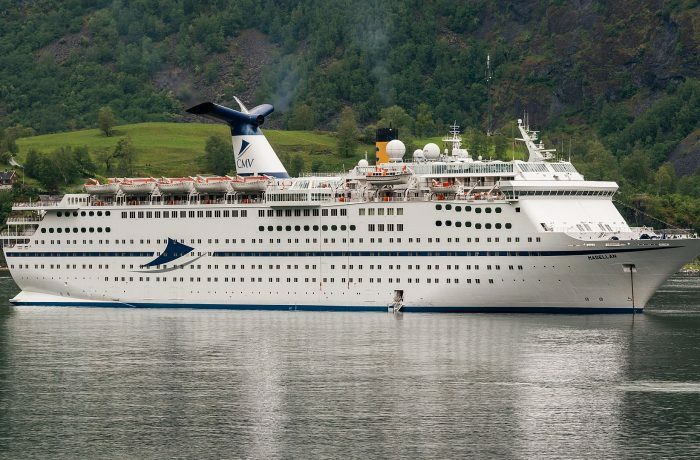 The ship even has a few passenger seats in an “airline style” reclining chairs in dedicated passenger lounge. Ivalo Arctica – the first of B202 type vessels, represented also by the Minik Arctica, has been working on the Greenland waters since October, when it was christened in Aasiaat.